Hunt qualified on March 7. Hunt has taken stands on issues that differ from those of Hice, and in an interview last week Hunt said he brings a skill set from his business experience Hice does not have, that he sees compromise as a strength, and that he views the world in complex rather than simple terms. 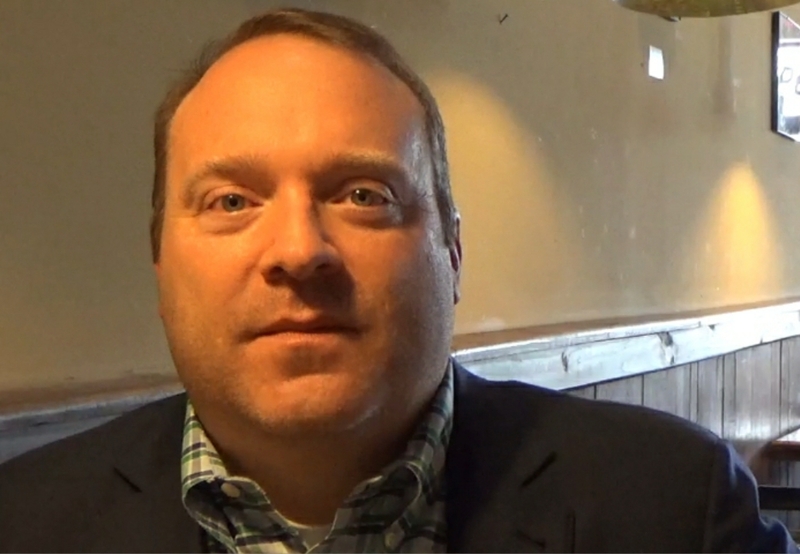 He also said he has gained from his roots in Elberton and his experiences living in Oconee County, where he is vice president of Franchise Relations at Zaxby’s. Hunt will be one of the speakers at the Oconee County Republican Party meeting, which begins at 6:30 p.m. on Thursday (March 22) at the Oconee County Health Campus of Piedmont Health Care at the corner of Virgil Langford Road and Jennings Mill Road. Entrance is from the rear of the building. Hunt also will be a guest at the Oconee County Area Republicans, which will meet at 6:30 p.m. on Saturday (March 24) at the Oconee County Library in Watkinsville. The Oconee County Democratic Committee meets at 6:30 p.m. on Tuesday (March 20) at the Oconee County Chamber of Commerce. Oconee Progressives is sponsoring a National Issues Forum, “Coming to America: Who Should We Welcome, What Should We Do?” from 3 to 5 p.m. tomorrow (Sunday) at the Oconee County Library in Watkinsville. The Kettering Foundation from Dayton, Ohio, will share results from the deliberative forums on immigration, including the one in Oconee County, with policymakers in Washington. Hunt said he thinks it is possible the 24-hour-news cycle, with its focus on ratings, has contributed to polarization in the country. "I'm An Everyday Guy," Hunt Said. “The most outlandish things that get said get covered,” he said. Hunt also criticized Hice for focusing on social issues that divide people. “I think that social issues should be viewed as conversation starters in order to educate yourself about why your opinion is different from someone else’s,” Hunt said. “What is it that makes that person’s opinion that differs from yours tick? “I don’t think it is wise to take a hard line stance on social issues,” Hunt said. “It troubles me when a party--or a candidate for that party--is such a hard line advocate on certain things that there leaves no room for conversation or compromise,” Hunt said in the half-hour interview I did with him on March 9. We met at Jittery Joe’s on Epps Bridge Parkway. “The current representation views compromise as a weakness,” Hunt said, “and I view compromise politically as a country as one of our greatest strengths. Hunt, 42, grew up in Elberton and graduated from Elberton High School in 1993. He earned a degree in public relations from Georgia Southern University in 1999 and a Master’s of Business Administration from Mercer University in 2015. He has been with Zaxby’s Franchising Inc., 1040 Founders Boulevard, off Daniells Bridge Road, since 2002. Hunt said his focus is on economics and economic solutions to problems, and he is opposed to bringing what he called “religious philosophy” into the political arena. “They deserve the exact same civil rights as any other human being,” Hunt said. “What makes them different is none of my business. And I don’t know why that is such a big issue for certain people. “Let’s harness the greatness of the humans that are perhaps different from us and see what kind of greatness we can achieve together,” he said. Hunt said he wouldn’t expect support from President Donald Trump in the primary. From a policy standpoint, Hunt said, he is not so far from the positions Trump took in his State of the Union speech on Jan. 30. Hunt gave as examples shared support for apprenticeship programs and vocational education and immigration. “Except for the wall, which I’m not necessarily in favor of,” Hunt said, he and Trump mostly are in agreement on immigration. “I see the power of harnessing that economic force as a real benefit,” Hunt said. “If we can put those folks to work and get it documented that they are here and they are here to work, it can really help, especially again in this district,” Hunt said. Hunt said there are many people in District 10 who own small businesses who depend on migrant, seasonable labor. Hunt said he agrees with many of the economic decisions that Trump has made, except for the imposition of tariffs on steel and aluminum. “Personality wise is a completely different ball game,” Hunt said. “I find it troubling that the pettiness with which he pursues his public fights." Hunt said he acknowledges Trump is trying to control the media attention, but “It doesn’t have to be so petty. It doesn’t have to be playground childishlike. The 10th Congressional stretches from Gwinnett County to the Savannah River and from Athens-Clarke County to Johnson County, incorporating all of 19 counties and parts of six others. All of Oconee County is in the 10th District, and about half of Athens-Clarke County is in the district. “There is no candidate that is ever going to be a perfect fit, ever, for especially that diverse a group of people,” Hunt said. “But I certainly believe I can be more representative of opinions and ideas and types of people than what we currently have,” he added. Hunt said he is upset that he has to use the label of “moderate Republican” to describe himself. “There used to just be Republican,” he said. “Then came the Tea Party. Then came the Freedom Caucus. And it just keeps going further right. “I would like to get back to a point where you’re just a Republican. Hunt, who lives at 1011 Westminster Terrace off Rocky Branch Road with his wife, Stephanie Boyd Hunt, and two sons, said he thinks Oconee County also reflects a diversity of perspectives. “Something is broken,” he said, “and if no one else is going to step up and do it, then it becomes our responsibility. Zaxby’s founders Zach McLeroy and Tony Townley are boyhood friends, and Townley lives in and owns large amounts of farm acreage in the county. It isn’t a good idea for business leaders to support a particular candidate, Hunt said. The Zaxby connection is an advantage even without endorsements from the founders, Hunt said. Georgia is the home state for Zaxby’s, and “there is such a presence of operations and employees across this district,” Hunt said. Hunt’s work with franchisees and other in the state “has allowed me to make a ton of connections with lots of folks, all of whom would like to be involved in their communities,” he said. Hunt said his work with Zaxby’s with responsibility for Franchise Relations has given him skills and experiences that set him apart from Hice. Hunt criticized Hice for his unwillingness to meet with constituents who disagree with him. “I get the impression--I don’t know Jody very well personally, I’ve only met his once–but I get the impression that he’s very black and white, and it is one way or the other way,” Hunt said. Hunt said he has gotten mostly supportive responses to his campaign. “In the very informal conversations, the reaction that I get most commonly is it’s nice to have someone running who believes in starting a conversation,” Hunt said. “And that’s been really the real takeaway for me is that folks are surprised to hear that sort of mentality and--I guess--desire to serve from that angle of things. “I’m an everyday guy just like you are. I go to work. I come home. I have family. I coach baseball and basketball and do all of the same things that you do. I’m nobody different. “And if we were going to sit on my back deck and grill burgers, we’d have the same conversation. The same thing. Hunt mentioned vocation and technical education early in the interview, and he came back to it at the end when I asked him if there was something he wanted to talk about that I had not addressed in my questions. “I want to promote that apprenticeship and technical school education as best as is possible because I think that is a way to prosperity for a lot of folks,” he said. Hunt said the lack of technical and vocational educational is a national issue, and he called for federal funding to address the problem. The goal would be to give “kids who do not know what their opportunities are going to be a chance to look at electrical, those types of trades, and give them a direct path” to those trades. “I mean we have one of the finest technical schools I think in the country sitting right here in our backyard,” Hunt said, referring to Athens Technical College in Athens-Clarke County. “We could so harness and leverage the power that school has and schools just like it,” Hunt said. For Hunt, the importance of vocational education is personal. “I think it’s a shame that we’ve let vocational education go by the wayside,” he said. “I was part of a vocational program when I was in high school and I learned some of the greatest lessons of my life as far as clocking in, clocking out, being on time. “Financial literacy became a part of my life at a very early age of 15 and 16,” he said. “I was on the path to apprenticeship. I was learning how to solder motherboards in a television repair shop. I set up the interview with Hunt because of his Oconee County connection. He chose the time and location. I video recorded the entire session, which lasted a half hour. The camera was on a table-mounted tripod off my right shoulder, pointed to Hunt to avoid the glare from the front of the store. Unfortunately, the tripod slipped off the table half-way through the interview, and the video file closed incorrectly. I can view that first video file from the interview on the camera but I cannot edit it. For that reason, I transcribed the entire interview to create the notes used for this post. 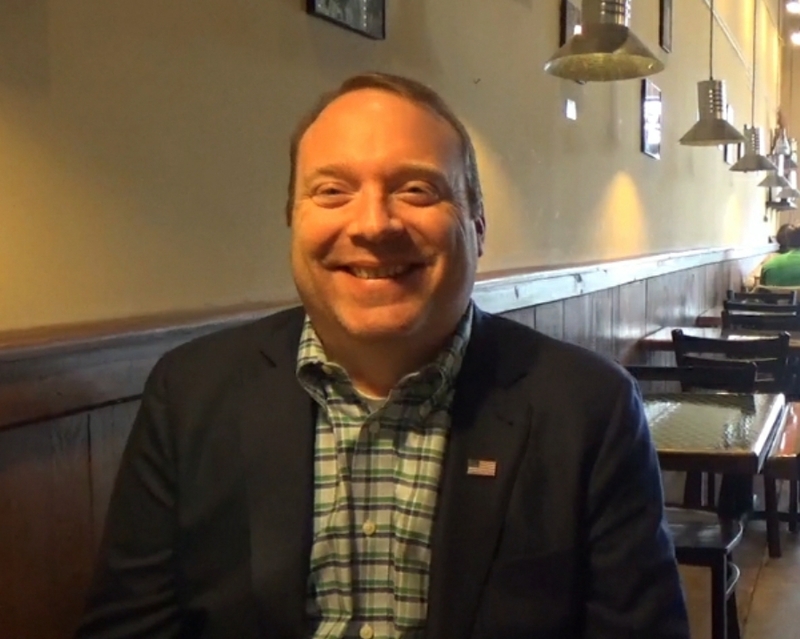 I also edited the second half of the video into four clips, dealing with Hunt’s experiences at Zaxby’s, how Hunt differentiates his skill set from those of Hice, his assessment of reactions to his campaign, and his views on vocational and technical education. The video runs just more than 9 minutes, and covers the four topics in the order listed. OCO: Joe Hunt Interview Part II v2 clips v3 from Lee Becker on Vimeo. Wow! a fairly reasonable Republican. Thank, Lee, for this very long interview with Mr. Hunt. It gives the readers and voters the inside view of how a Democrat run as a Republican. I am no fan of Hice, but this guy is full of lots of talk that lead right back to the Democrats. Thanks Lee for a most informative article. And, it's good to have someone running against Hice and his penchant for theocracy. I appreciate Mr. Hunt's throwing his hat in the ring. Mr. Hice won't even meet with his constituents face to face. This is because he has been so divisive. It would be great to have a Teddy Roosevelt/Eisenhower type Republican back again. Someone who can not vilify others but talk reasonably and try to find some common ground so the country can deal with its problems. Mr. Hice has done nothing but increase the budget deficit.